Keto Diet Meal Plan - The free and easy way for busy people to lose weight and reach their goals. **How will the Keto Diet Meal Plan help you lose weight? 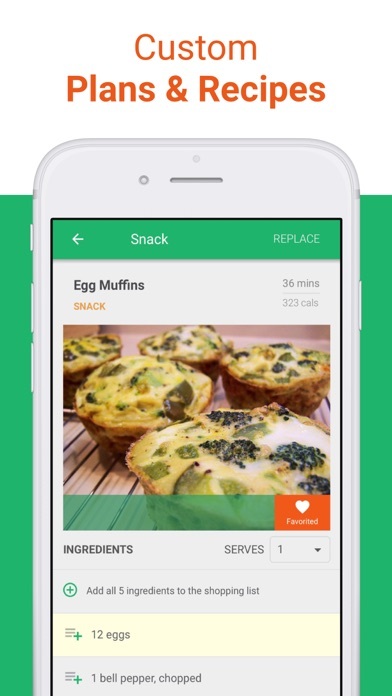 You’ll get hand-picked meal plans - breakfast, lunch, dinner, and snacks - every week. With the meal plan making all of the right choices, you’ll naturally start losing weight and getting healthy. While we always encourage exercise, you can’t work off a bad diet. This is the easiest way to kickstart and maintain your Keto goals. 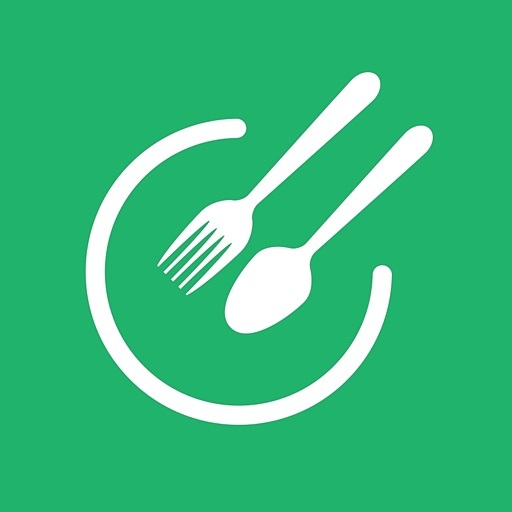 PLUS - the app is completely free to try out! 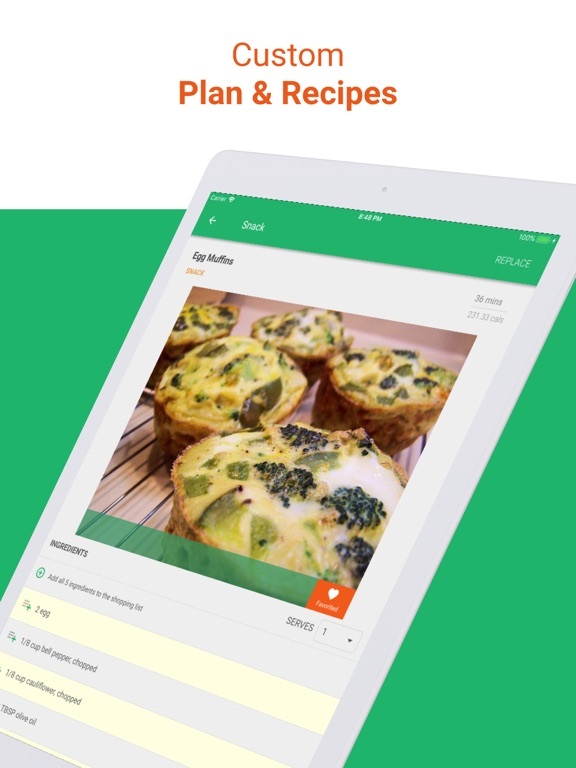 No More Planning - You can finally stop thinking about what to cook - breakfast, lunch, dinner, and snacks are all customized for you, every week. 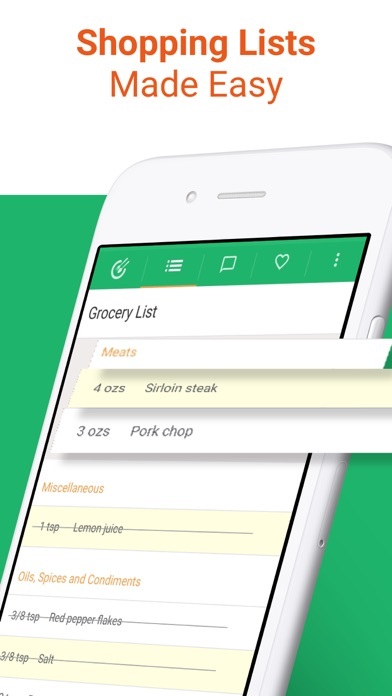 No More Grocery Lists - Shopping lists are created for you every week. You can shop once and only buy what you’ll need. Serving Sizes and Leftovers - Feed the whole family or ensure plenty of leftovers by adjusting the serving size. 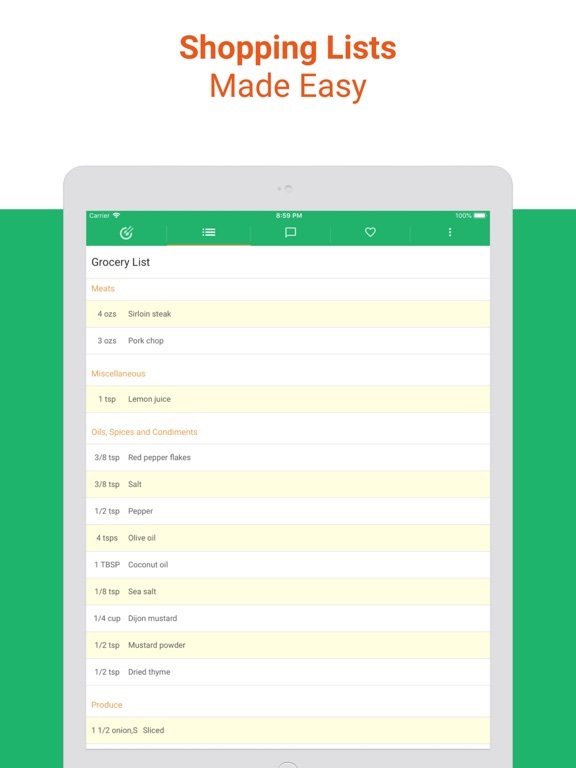 The meal plans will work around your busy schedule and help out when you have guests over. Quick and Easy - Buy and cook only what you’ll need or plan for healthy leftovers. 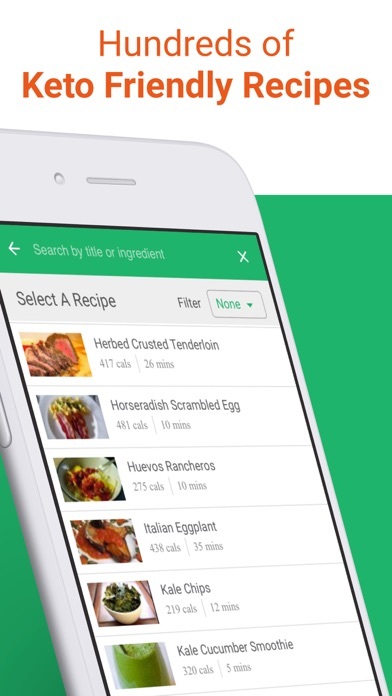 Easily swap out recipes based on mood/occasion or to accommodate food allergies and aversions. 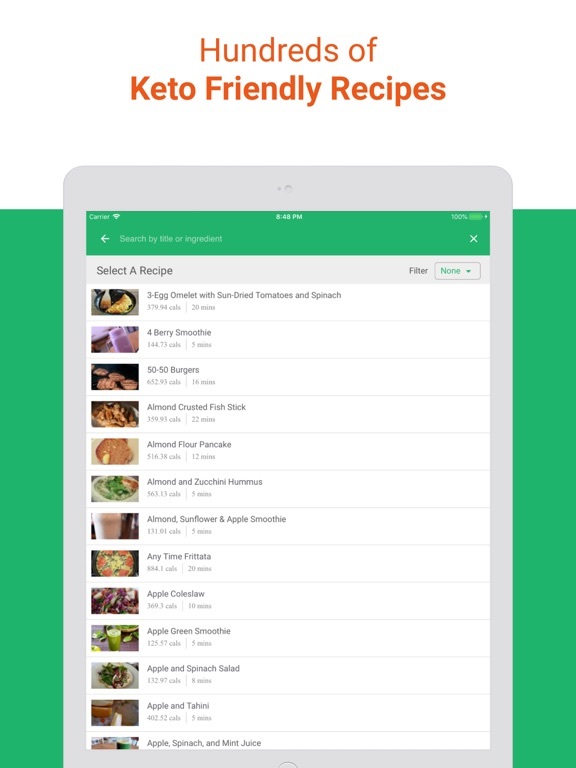 Access to hundreds of delicious and healthy recipes. 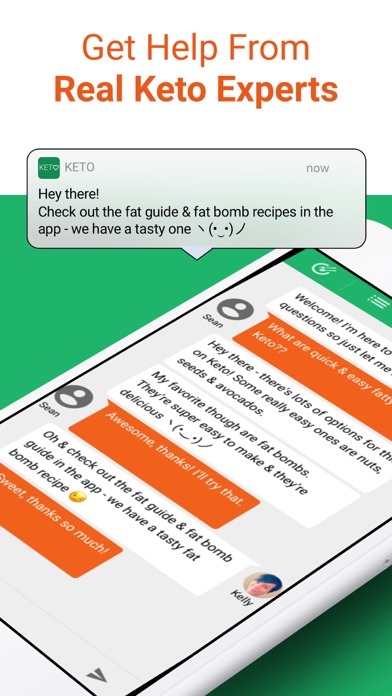 Chat support with Kelly - our in-house diet counselor. **How do other people feel about it? “... and I’m about to turn thirty. Being a mom, working full-time, and trying to save a fading social life don’t help you lose weight. So far, I’ve lost 6 pounds without thinking about dieting or the gym. 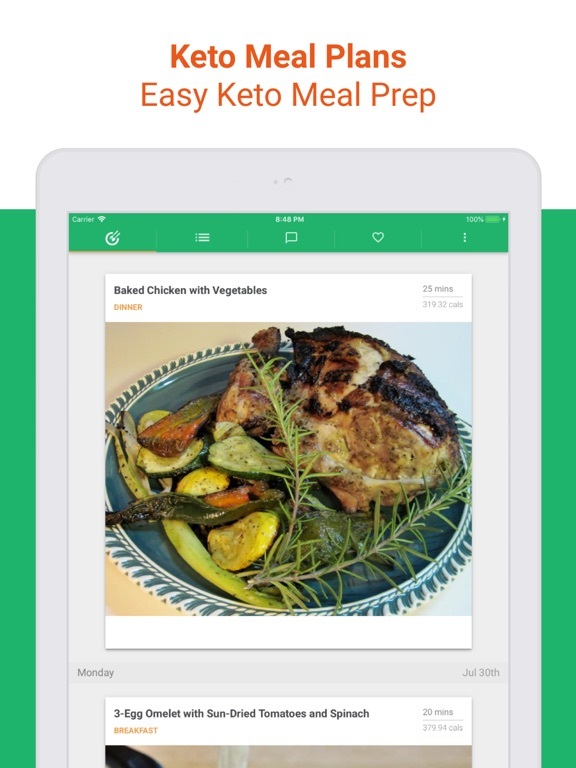 You know that you need to get healthy and you’ve found the best Keto Diet Meal Plan app out there - Prove it to family. Prove it to friends. Prove it to yourself. Try it free for a week, on us!! Remember, you’re not alone- we’re here to help. You can always reach us via chat support with any questions. Get excited! You’re about to start losing weight, getting healthy, and eating delicious food. 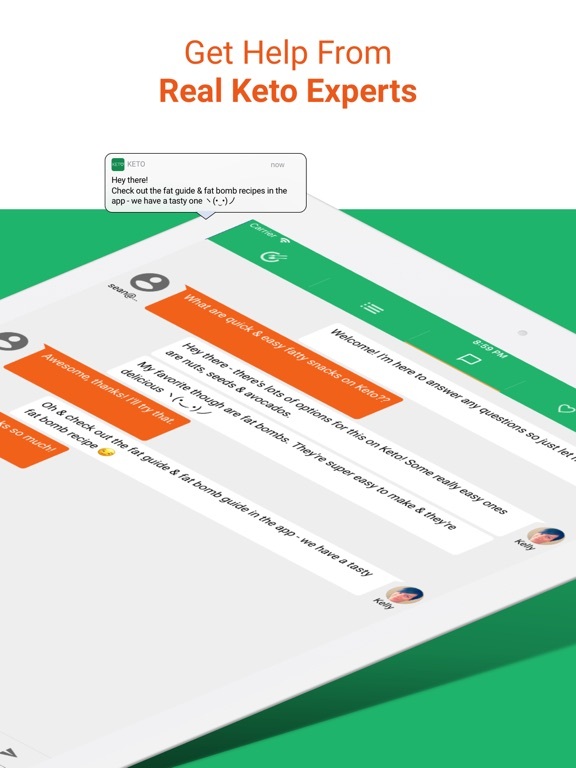 You’re joining our Keto Diet family and we want you to know that we’ll be there, hand-in-hand, for the long haul. 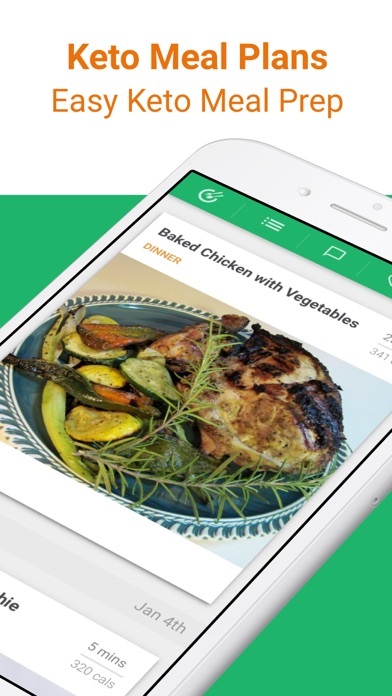 The app has been designed to work great on both the iPhone and the iPad. There is a full free week trial subscription that gives you access to all features and if you decide to continue after the week it's $9.99/month.